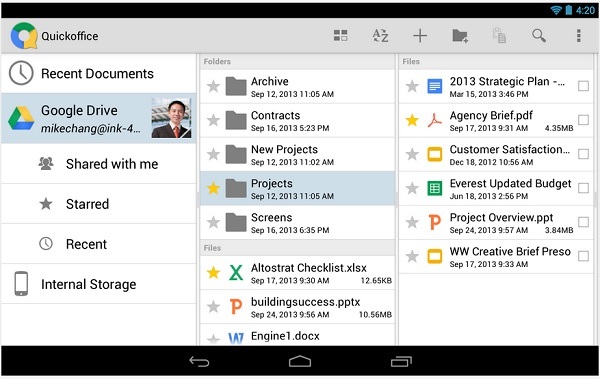 Google has introduced Office Suite for Android and iOS based smart phones and tablets by launching Quickoffice app. This app enables you to view, edit, create and collaborate Microsoft office documents in Android and iOS based smart devices. Apart from document editing and creation on your devices, Quickoffice also helps you to carry out collaborative management of documents through Google Drive. It also keeps your document saved in Google Drive through an encrypted channel. This also help in collaborative editing of same document among your project team members if shared! will come back someday. I want to encourage one to continue your great work, have a nice weekend!